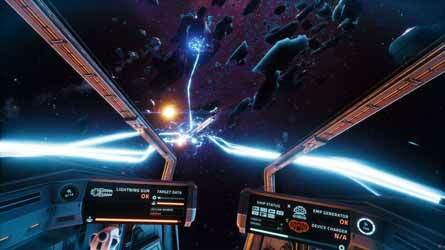 If, like me, you played and enjoyed Everspace, you'll be glad to hear that your universe has got a little bit bigger thanks to the Encounters DLC. With a RRP of well under a tenner, this really is a no brainer. So what do you get for your money? Well, for starters there's a shiny new spacecraft to swan about in. 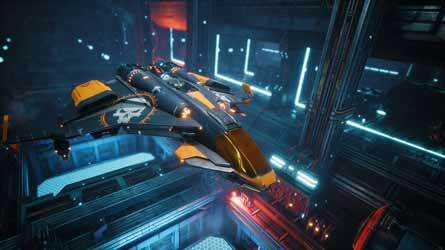 The Colonial Sentinel is a medium fighter craft, with a powerful shield and advanced electronic warfare capabilities. 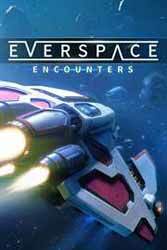 Encounters adds 10 hours of gameplay to the base game including five new questlines. There are also a host of new story characters, each with their own agendas. Ever dreamt of met a robot bounty hunter with a French accent who would rather create than destroy? Well, dream no more... Or an alien scientist who sends you on a hunt for space creatures? If so, then it's your lucky day. There's a bevy of new primary and secondary weapons, including Lightning Guns and Plasma Throwers. There's also the Seeker Missile Battery which allows you to unload hell on multiple foes at once. Not to mention tons of new devices and consumables including generators and decoy holograms. You can while away many happy and productive hours in the G&B factory stations. 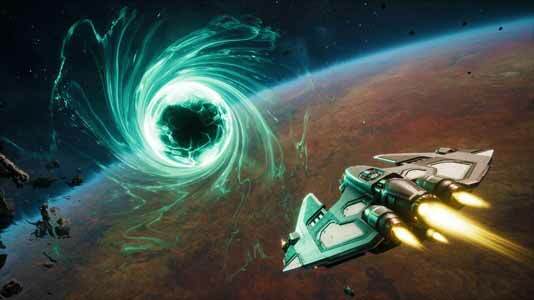 Here you can upgrade your ship, refine resources and undertake much needed repairs. Or why not change the look of your vessel with any of the available ship skins? A perfect example of how, for a small price, you can add much enjoyment to an already strong game.